CHENNAI: Sometime in April, Cape Town is poised to become the first major city in the world to run out of water. While water shortages are familiar occurrences to most cities in India, there’s something to be learned from Cape Town’s management of the crisis. Sometime in April, by current reckoning, April 12, Cape Town, a city of four million people in South Africa — will have run out of water. The city fathers have designated the day as Day Zero, when there is no more water to pump to residents, and all water taps will be turned off. The water shortage being faced by Cape Town is unprecedented, that is a mild way of putting it. If indeed Day Zero comes — and all current pointers indicate that it is a certainty — Cape Town will become the first major city in the world to completely run out of water. To people in India, water shortages are common, and every summer is Armageddon. How will Cape Town cope? Imagine all adult residents of a city queuing up to collect their daily ration of water fetched from other parts of the country. That seems to be the future of the city if it fails to find an alternate arrangement, which is unlikely. There will be 200 water collection points. However, the government fears violence and anarchy when the taps run dry. “The question that dominates my waking hours now is: When Day Zero arrives, how do we make water accessible and prevent anarchy?” wrote Helen Zille the premier of Western Cape province, of which Cape Town is a part. If the taps stay dry for long, it is very likely that riots will break out in the city. In that case, the army will have to be called in to maintain order. How did the city get here? For nearly four years, the province of Western Cape has been facing the worst drought in its history. The city draws water from six reservoirs that carry hold a total of 230 billion gallons of water. However, the lack of rains has led to these reservoirs shrinking to less than a quarter of their normal size. The city depends almost entirely on rainfall for water. However, not everyone agrees it was the lack of rain that resulted in the current crisis. Many say poor water allocation and wastage played a part. They say even though the signs of an impending drought were visible a couple of years ago, the provincial government made no effort to restrict the use of water for agriculture. The government was criticised for allocating “too much” water to or agriculture. How is the crisis being managed? 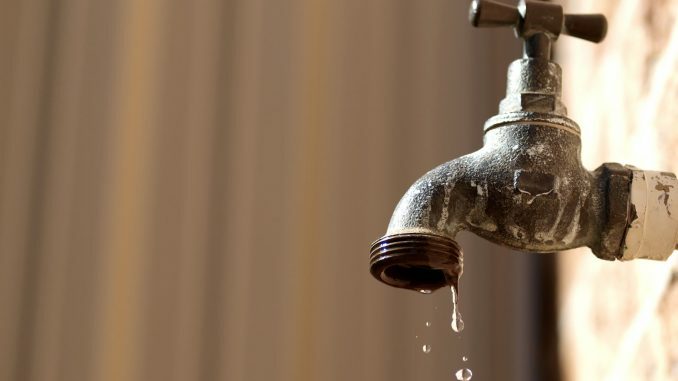 For an Indian citizen who is familiar with crippling water shortages all year round, what’s remarkable about the Cape Town water crisis is how the entire administration and citizenry have been alerted to it, and systems have been put in place to manage it. With more than two months to go to Day Zero, the city has set up a disaster operations centre, which is making plans to manage the crisis. The city has identified four risks: water shortages, sanitation failures, disease outbreaks and anarchy due to competition for water. Emergency services, the military, epidemiologists and health experts have all been roped in for making the plans. An alert has been sounded to the citizenry well in advance, with a clear and tangible indicator: Day Zero will be declared when water in the city’s six-dam reservoir system falls to 13.5 per cent of capacity. That day, piped supply will be deemed to have failed and the city will dispatch teams of engineers to close the valves to about a million homes in the city. In place of piped water, the there will be 200 water collection points scattered around the city to ensure the legally guaranteed minimum of 25 litres per person per day. The location of these centres has already been planned: each of these water collection points will be within 200 metres of every citizen’s home. Will water become more expensive? Cape Town’s municipal authorities have been clear that they will not pass on the cost of managing this crisis to the citizens. Post Day Zero, water will not be sold, it will be given for free. That would mean a loss of revenue of 1.4 billion rands to the city. The city has set apart a budget of 200m rand (£ 12 m) just to manage the crisis for three months. Long before anticipated Day Zero, Cape Town launched a public information campaign sensitize citizens to the approaching Armageddon, making them a partner in managing the crisis. The save water messaging and signage is inescapable in Cape Town: Tourists arriving at the airport are politely told about the water crisis, every medium has been used to drum up the conservation message, and even water closets in the city’s hotels have stickers asking guests to use less water. The city has cut the daily water pumping from 1,200 million litres to 540 million litres. Planners reckon that if this can be pushed down another 25 per cent, the taps should stay open to the start of the rainy season in May.